Brisbane City Hall is the pride of the city’s heritage buildings. 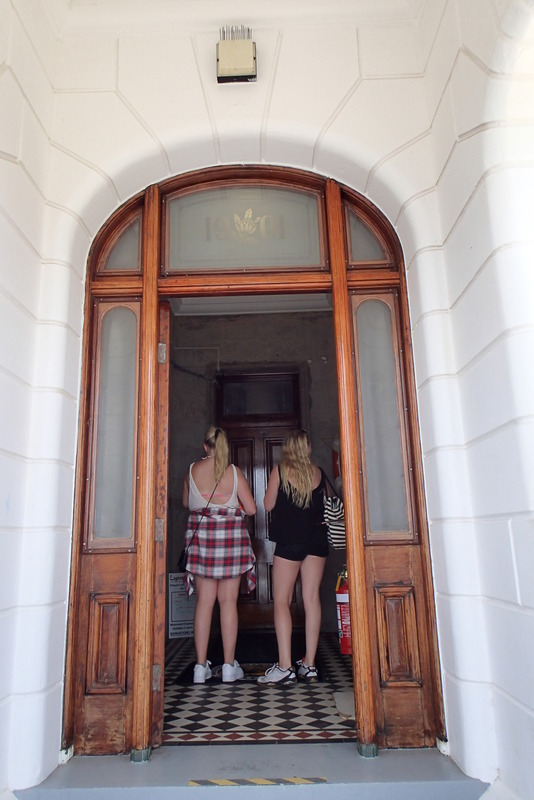 When the Hall opened in 1928 it was one of Australia’s most expensive structures. Second only in cost to the Sydney Harbour Bridge. The original A£480,000 budget estimated by architects Prentice and Hall blew out to over A£1,000,000. The building underwent extensive restorations from 2010 to 2013. Most of the original interior features have been kept. It is a short walk from Central Station to Brisbane City Hall in King George Square. The imposing Westminster Abbey has stood by the River Thames for more than 700 hundred years. Memorials throughout the Abbey commemorate the lives of monarchs, statesmen, soldiers, poets, priests and heroes. Many of whom rest beneath the floors or inside elaborate tombs within the church. Westminster Abbey is the stage investing British Kings and Queens who receive the blessing of the church and regalia of a monarch during their Coronation Ceremony. Thousands of tourists and worshipers pass through the doors of the Abbey every year. Tourists queue outside the Great North door of Westminster Abbey waiting to be admitted to the Nave. Cameras at the ready they snap photos of the ornate doors and selfies outside the church. You will have to rely on your memory to describe what you have seen inside as cameras must be put away once you pass the doors. You will leave the Abbey with your head full of names, dates, inscriptions and memories of the ornately decorated interior. Tourists who have completed their tour pass through a small door near Poet’s corner into the corridor that leads to Cloisters and Chapter House. The square cloister was once part of a monastery that served the Abbey. At the heart of the Cloister is a simple garden with a bright green lawn. The perfectly mowed green lawn of the cloister is known as the Garth. It beckons as you stroll along the corridors. The purpose of the Garth was to give the monks somewhere to rest their eyes and contemplate the thoughts in their minds as they walked around it. The octagonal Chapter House, dates back to the 1250s. The monks who lived at the Abbey met at the Chapter House each day to read a chapter from the rule of St Benedict. The walls are adorned with paintings trimmed in gold that depict scenes from the Apocalypse and Last Judgement. Many of the paintings have faded or worn away with time. If you look up you will see a series of beautiful stained glass windows. The windows have been replaced many times since the 1300’s. Some of the current windows were updated after the Abbey was damaged by bombs in WWII. The vestibule of the Chapter House contains the oldest door in Britain. The door dates back to the 1050s. The door is rumored to have been built for King Edward. Edward was the last Anglo-Saxon king of England who ruled from 1042 to 1066. He is the only English King canonized by the Catholic Church. The King became known as St.Edward the Confessor after his canonisation. The Great West Door of the Abbey leads to the tomb of an unknown British soldier near the start of the nave. The figures above the Great West Door are a 20th century addition to the Abbey. Queen Elizabeth unveiled the figures of the 10 Christian Martyrs in 1998. The ten martyrs are:St Maximilian Kolbe, Manche Masemola, Janani Luwum, Grand Duchess St Elizabeth of Russia, Martin Luther King, Óscar Romero, Dietrich Bonhoeffer, Esther John, Lucian Tapiedi, and Wang Zhiming. Westminster Abbey is a short walk from the Westminster Tube Station. When I checked into a sleek modern hotel in Dubai that last thing I expected to see above my bed was was studded wooden door! The lighthouse at Cape Byron stands atop the rugged cliffs near Australia’s most easterly point. The stark white lighthouse with its ornate crown was constructed in 1901. It contains two lights to warn vessels approaching the rocky coastline at night. The entrance to the lighthouse still has the original wooden doors with brass fittings and frosted glass panels. 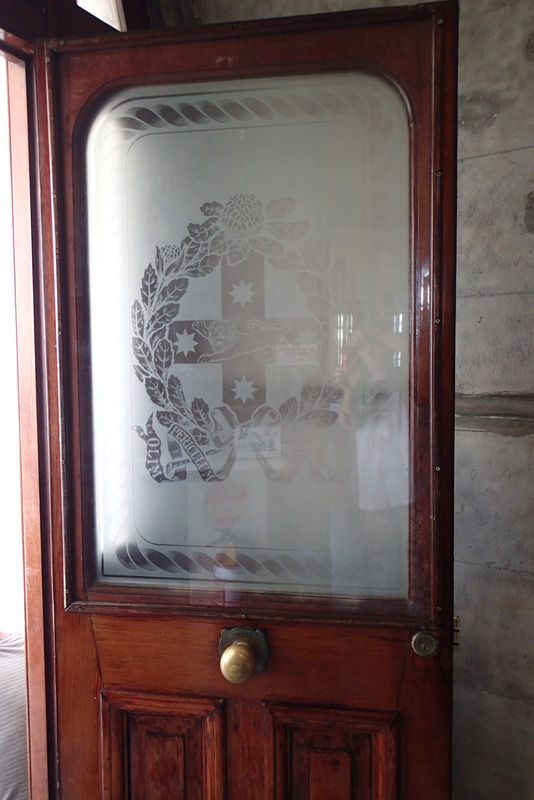 The glass panels in the door carry the insignia of the state of New South Wales (NSW). A glimpse of the stairs that lead to the top of the tower can be seen in the glass panel above an interior door as you enter the foyer. To the right of the foyer is a small museum. My daughter and I found ourselves in the empty streets of Washington DC on a cold December day. A cafe serving hot drinks and comfort food was welcome sight. The walls of the cafe were lined with doors. St. Mark is the patron saint of Venice and his symbol of winged lion armed with a sword, and with a book can be see in various places around the Piazza San Marco. Saint Mark’s Basilica is a stunning Byzantine Cathedral trimmed in gold inside and out. The Basilica is covered in mosaics that display stories about St.Mark, scenes from the old and new testament and the lives of various saints. The Cathedral holds the relics of St.Mark which were brought to Venice in the year 823. The Basilica was a chapel attached to the Doges Palace for around a 1000 years. Saint Mark’s was separated from the Palace and became the cathedral of Venice in 1807. The Basilica is by far the most grandly decorated place I have ever visited. It is well worth purchasing tickets to go inside the Cathedral to study and admire the artworks inside. The Cathedral is also home to the museum of St. Mark. There are limited opportunities to take photos once you are inside, so you will have to be content with committing most of the elaborate artworks to memory rather than record them with your camera. Saint Mark’s Basilica is located in the the Piazza San Marco. 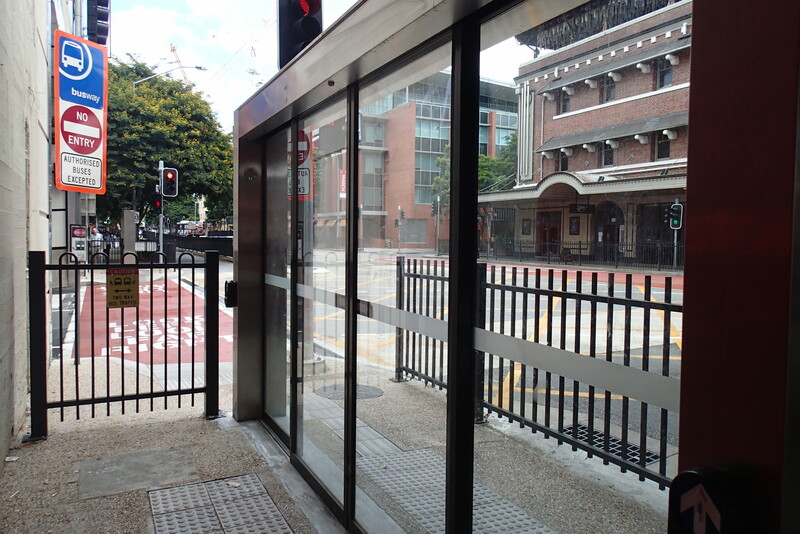 The Piazza can be easily accessed on foot and by water bus. Gondolas are available if you want little more romance.